This is a five year project looking at how people maintain function and well-being in later life. The Economic and Social Research Council and Higher Education Funding Council for Wales have provided funding for the project, which is being led by Professor Bob Woods at the Dementia Services Development Centre (DSDC), Bangor University. The project aims to address key questions regarding later life and ageing in the 21st century and is closely tied to an equivalent project in England (CFAS-II). The Welsh project will follow 5000 older people aged over 65 across two points in time to investigate stability and change over time. The project will be carried out in four key research areas, including Gwynedd and Anglesey in the North, and Neath and Port Talbot in the South, and will provide valuable information from socially, culturally and geographically diverse areas. Please click on the image below to see the BBC video news report about CFAS Wales. The Express printed an article about CFAS-Wales on 21st April 2017, to view this article please click here. The Daily Mail printed an article about CFAS-Wales on 21st April 2017, to view this article please click here. The Hindustan Times printed an article about CFAS-Wales on 21st April 2017, to view this article please click here. The Daily Post printed an article about CFAS-Wales on Tuesday 5th November 2013, to view this article please click here. 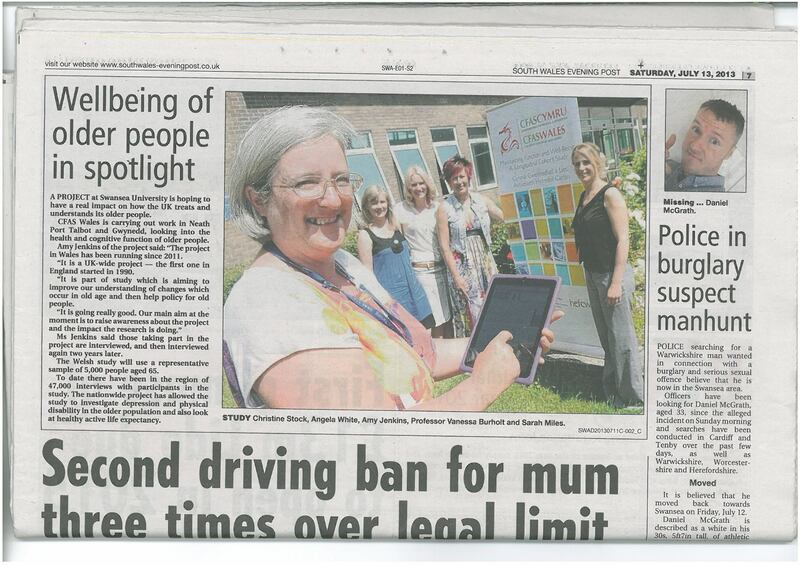 The South Wales Evening Post printed an article about CFAS-Wales on Saturday 13th July 2013, to view this article please click here. 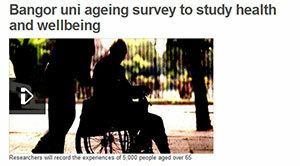 Cognitive Function and Ageing Study-Wales project launched. 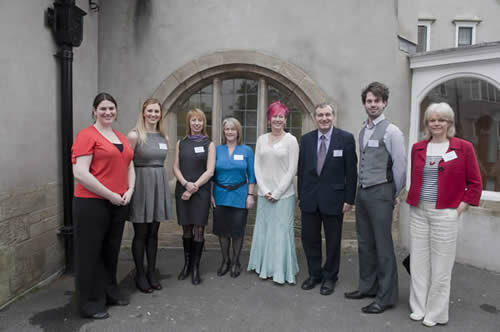 The CFAS-Wales project was launched this week at an event held at Bangor University. The £3.3m project funded by the Economic and Social Research Council and the Higher Education Funding Council for Wales is a five year project led by Professor Bob Woods of Dementia Services Development Centre (DSDC), Bangor University, that will investigate health, well-being and cognitive function in Wales, with a focus on psychological, social and biological factors such as resilience, bilingualism, nutrition and social networks that may offer protection against, or delay the development of cognitive impairment and dementia. Representatives from the CFAS-Wales team speak to local and national media. To see news coverage from the BBC please click here. To see coverage by ITV please click here. To read coverage from the Western Mail please click here. Please click here to return to our well-being in later life projects.